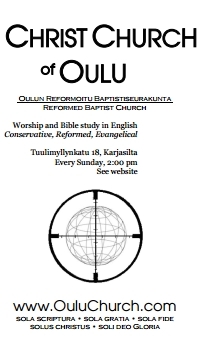 Christ Church of Oulu is a conservative, reformed, evangelical Christian church based in Oulu, Finland. Our church is a Reformed Baptist church. It is also known by its Finnish name: Oulun Reformoitu Baptistiseurakunta. 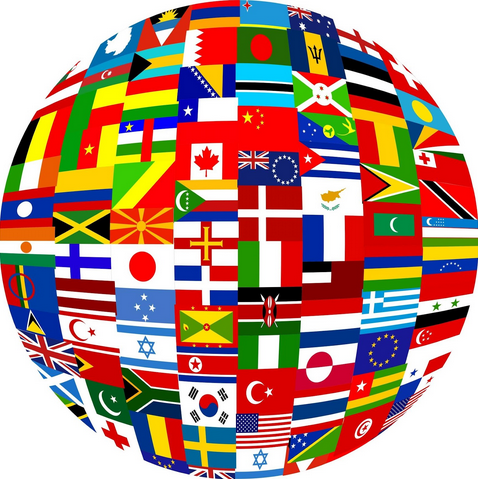 Our worship services and Bible studies are currently in English. However, Finnish is also spoken. Many of us are Finns. Please check here (or the What page above) for a quick list of some of the things we affirm and deny in matters of theology. Please check here (or the Vision page above) for more information on some of the things we hold central and dear. Please check here (or the Where page above) for information on the location of our premises, and on local bus connections.